Jungle cats can be tough to tell apart, but often it's the spots that give an animal away. 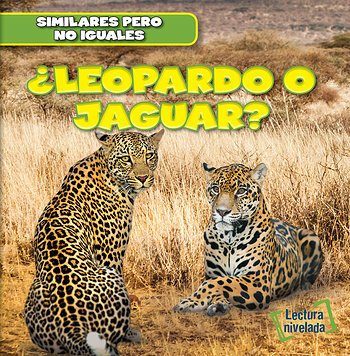 With leopards and jaguars, knowing where the animal lives can be a big hint as to which cat is stalking its prey. Telling the two animals apart is easy once we take a closer look. Jaguars are heavier than leopards and their features are unique when you take a good look at their heads. Amazing full-color photographs ensure readers don't have to tell these magnificent animals apart!